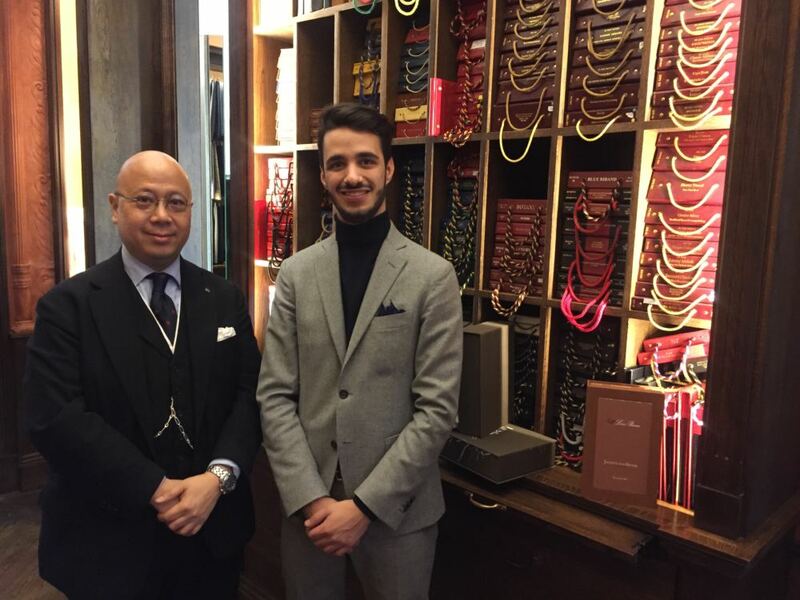 Loro Piana Cloth Representative, Gregorio Davico popped into the bespoke shop to show us some new cloth and have a chat with us. Gregorio has taken over from Gareth Crowe, who sadly passed away last year. Gareth was a friend to many on the Row and is deeply missed. How would you describe your job role? 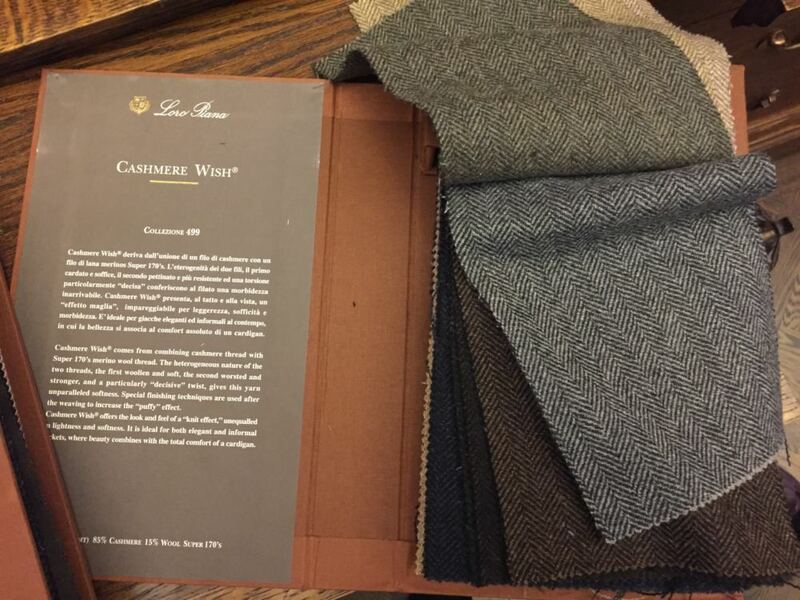 I am a cloth representative for Loro Piana working with bespoke tailors, small private labels and independent shops. How did you get started in the trade? Well I born and raised in Biella which is the hub of the Italian fabric industry and my family were also in the trade, selling textile machines, so it was never really a question about how I got started it was always about when I would get started. 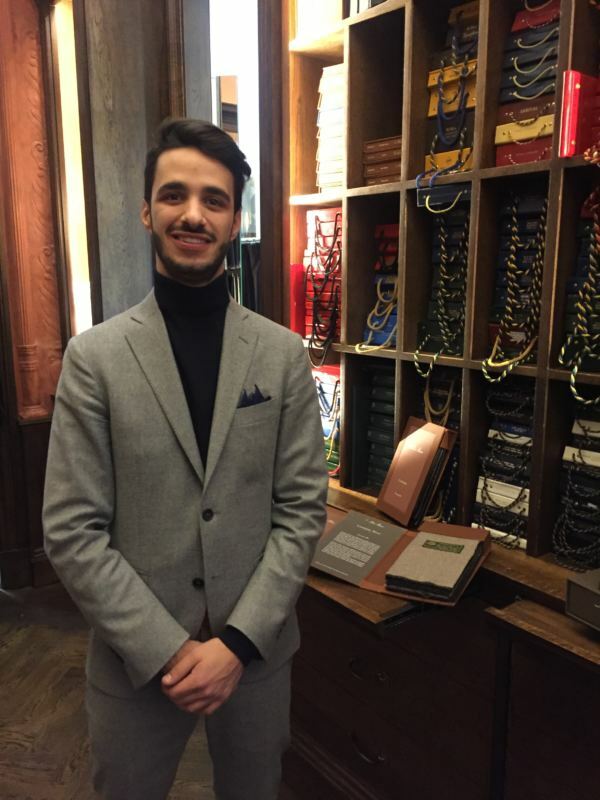 Passion led me to where I am now, I came over to London when I was 19 and started working at a shoemaker on Jermyn Street and also started university. 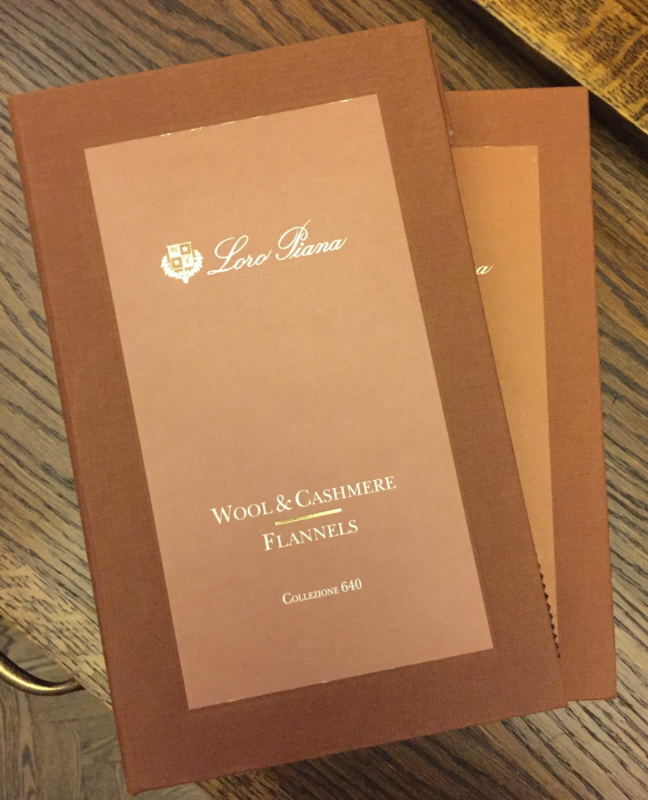 I started my internship with Loro Piana in 2015, I worked for three months during the summer in Quarona, Italy where I shadowed the buying department and gained some experience. It was a great opportunity and my town was only an hour away so I felt right at home. I officially started at Loro Piana in October 2016 and I have learnt so much in the last four months. I am one of the younger representatives in the trade and I think it is very important to attract young people. I think the long standing perception of this trade being stuffy and uptight is slowly changing. It is much more accessible today and I see many young sales managers, cutters and tailors in the industry, who like me, have learnt and are currently learning from the generation before. I think the mentor and apprentice relationship is integral. I learnt so much from Gareth and it will be a challenge to fill such big shoes, he had been in the trade for 55 years and was such a loved presence but because of him I know the standards I have to reach and maintain. What is your favourite aspect of the job? The environment is amazing, I love meeting people who are just as passionate as me about cloth, fabrics and quality natural fibres. Also working somewhere with history and tradition is great and I have always loved the process – how wool from a sheep is turned into this beautiful cloth. I have been lucky with the opportunities I have been given and I plan on doing my absolute best with them all.